Balmy temperatures, minimal crowds and excellent value for money, May is one of the best months of the year to travel. Find out where to go on holiday in May 2019 and why. Travelling abroad in May proves to be a savvy option for many UK travellers. It’s a time of year when the weather is at the perfect temperature in a number of popular destinations, without being blisteringly hot. Enjoying warm conditions on holiday in May leads nicely into the British summertime, allowing sun lovers to continue enjoying more warm weather after arriving back home. If the British weather plays ball, of course. For families, travelling during the May half term avoids the high season crowds, price hikes and too-hot temperatures for the little ones. Couples looking for relaxing breaks can also enjoy the more chilled-out atmosphere in many hotels and resorts during May compared to the height of the summer. In essence, travelling in May ticks many boxes for holidaymakers looking to get the most out of pleasant weather and relaxing experiences to match. Here are some of the best places to go on holiday in May. This group of Spanish islands off the African coastline enjoys some of the most stable weather conditions throughout the year. Add on laid-back Spanish customs and unrivalled Canarian-Spanish cuisine, and you’re onto a winning holiday spot. It’s no coincidence nicknames for the Canary Islands revolve around the weather, ‘Islands of the Eternal Spring’ being one of them. 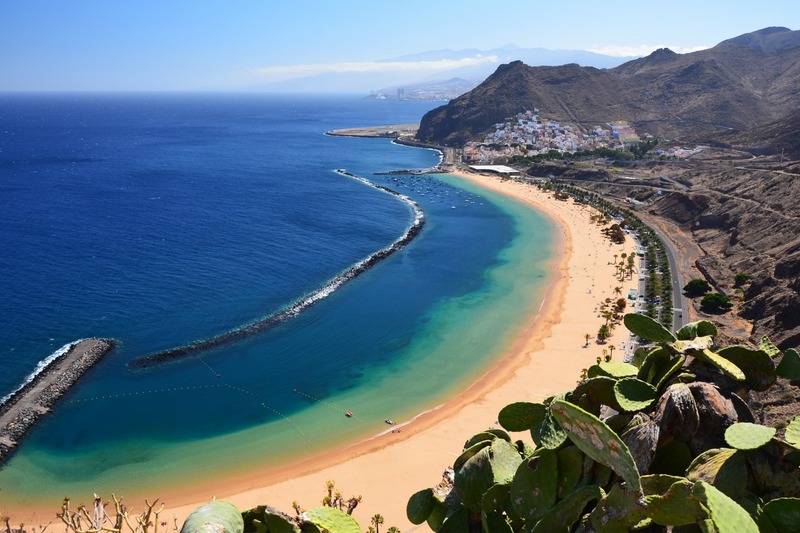 Temperatures in both Tenerife and Lanzarote average around 21ºC in May, with highs of 25ºC. There’s an average of 132mm of rain throughout the month – more than in other top May holiday spots – but the rain often passes quickly in coastal areas. Daily sunshine hours average around 13 hours. Tenerife is the liveliest option of the Canary Islands, with lots of opportunities for entertainment all hours of the day and night, and abundant facilities for watersports, adventure activities and beach time. The Iberostar Hotel Anthelia is a great family choice, with the option for an all-inclusive stay, abundant facilities and interconnecting rooms. Lanzarote also has lots going on, with popular beaches, numerous restaurants and sightseeing trips to suit all tastes – whether it’s families wanting to visit the animal park, or couples dreaming of lazy days on boat trips at sea. The Princesa Yaiza is a well-established family hotel, with abundant family suites and a superb kids club. The south of Spain is another part of the world with a famed mild climate. During May, the south of Spain has an average temperature of 23ºC, with highs of 26ºC, an immense 14 hours of sunshine per day and just 31mm of rain throughout the whole month. The Costa del Sol and Costa de la Luz – Spain’s coasts of ‘sun’ and ‘light’ – are two ideal options for May holidays. These coastal resorts are full of restaurants, bars and fun water-side activities, but also some wide-open beaches and quiet villages to discover. Since May is the beginning of the season in the Spanish ‘Costas’, there are usually some great deals to be had too. In the Costa del Sol, the high-end Marbella has some exceptional accommodation choices for couples and families alike. In particular, Vincci Seleccion Estrella Del Mar and The Oasis by Don Carlos Resort – next to the Nikki Beach club – are ideal for relaxing holidays for adults. The large Gran Melia Don Pepe is great for families, with a kids club, children’s pool and babysitting services. 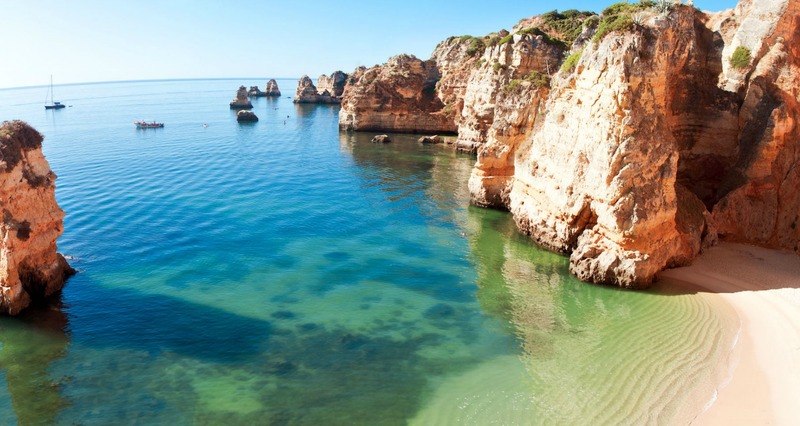 With weather and natural beauty on a par with southern Spain, Portugal’s Algarve region enjoys average May temperatures of 23ºC, 14 hours of sun a day and even less chance of rainfall than southern Spain with just 24mm of rain throughout the month. Perfect for relaxing resort and beach holidays, the region’s world-renowned golf courses are other pull factors for holidaymakers. Many resorts are equally geared up for couples and families. The exclusive Vilamoura is ideal for couples wanting luxury, with hotels such as the Anantara Vilamoura – Anantara’s first European property – offering multiple pools, high-end restaurants and a rooftop spa. Families feel at home near buzzing towns such as Albufeira, or in family-friendly hotels such as Vila Gale Lagos, with abundant facilities and special offers especially for parents and children. While northern Italy can still be fairly cool in May, holidaying anywhere from around the Amalfi Coast and further south is an entirely different story at this time of year. The sun in Sorrento and the Amalfi Coast averages around 24ºC in May, while the sun shines for an impressive 14 hours a day and rainfall averages 47mm throughout the month. The islands of Sicily and Sardinia enjoy similar conditions. Perfect for couples, these Italian regions offer romance, panoramic views of the ocean, and plenty of exquisite food and wine. Top contenders for accommodation on the Amalfi Coast include the Grand Hotel Convento Di Amalfi, clinging dramatically to a cliff-face, and the Hotel Santa Caterina, with its sea views from almost everywhere in the hotel. In Sorrento, the Boutique Hotel Helios is full of romance and intimacy, found inside a former private villa. 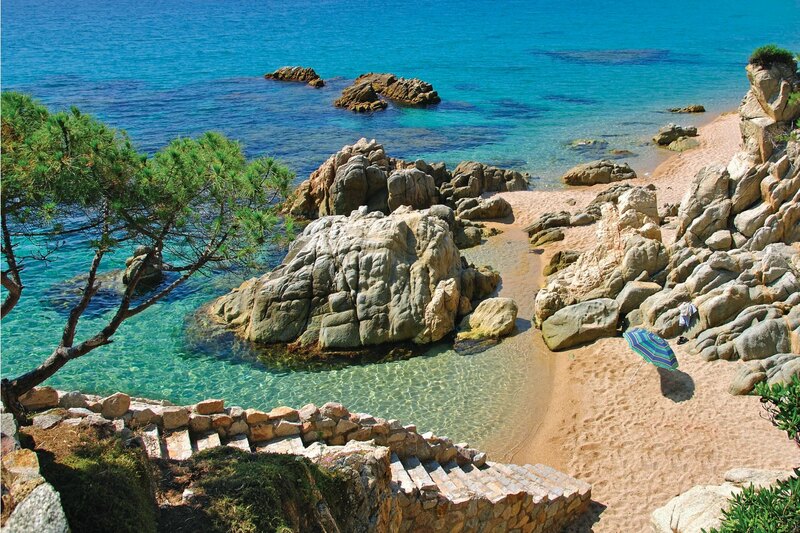 The islands of Sicily and Sardinia are top options for those who want high-end accommodation. 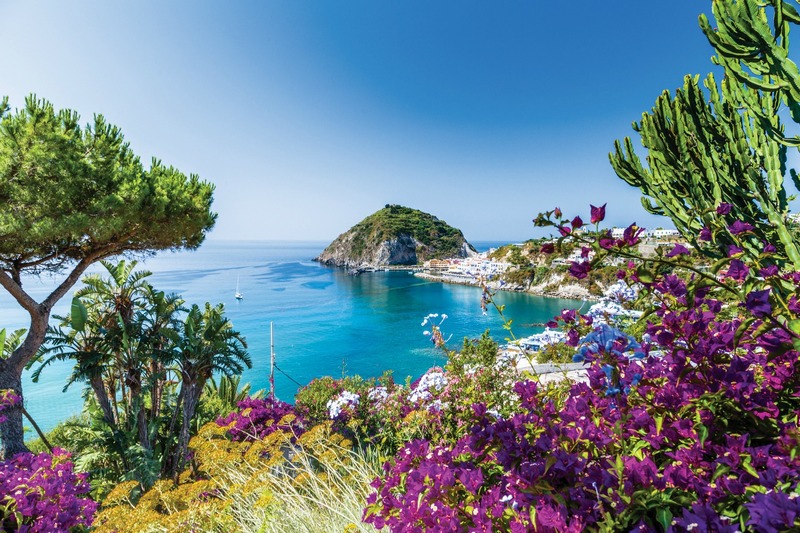 With opportunities to go on day-trips to explore the islands and their immense geographical features, Sicily and Sardinia are enticing to those who enjoy a little adventure. On Sardinia, Hotel Le Palme is set in lush tropical gardens, while on Sicily, the impressive Grand Hotel Mazzaro Sea Palace is near a cable car line and the bird’s eye views it offers. 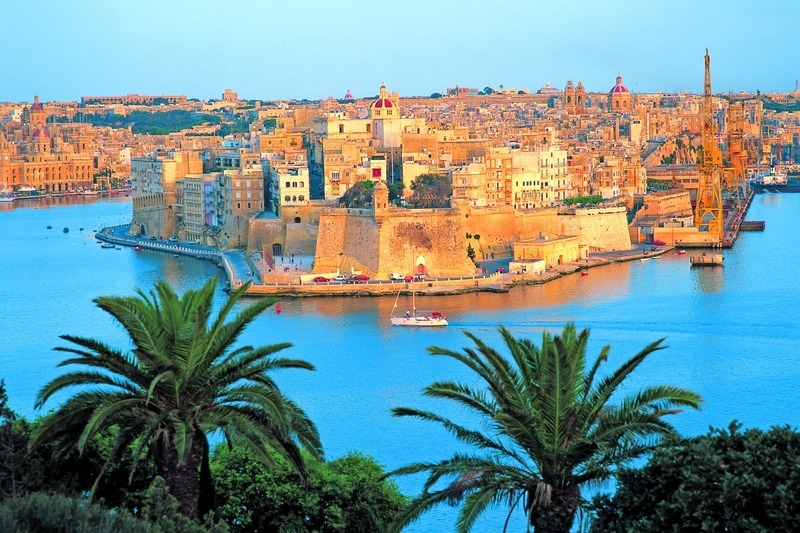 Found in the middle of the Mediterranean Sea, Malta is made up of an archipelago of islands that embrace laid-back southern European culture with an inspiring history, found everywhere from prehistoric temples to the ancient walled city. In May, Malta’s average temperature is 23ºC, with 14 hours of sunshine a day and only 20mm of rain throughout the whole month. A solid option for culture vultures, beach lovers and diving fanatics, Malta comes high on the list of favoured travel spots in May. Couples seeking relaxing breaks and stunning sea views should head to The Palace – an elegant hotel in Sliema, while families always enjoy The Westin Dragonara Resort in St Julian’s, with a kids club, generous family rooms and direct access to the beach. From mountains to beaches and a thrumming island feeling, Cyprus has a tendency to get very hot from June to August, making May the ideal time to visit for those who like the heat to be a little less intense. The average May temperature in Cyprus is 25ºC, with 14 hours of sunshine a day and just 5mm of rain throughout the month. 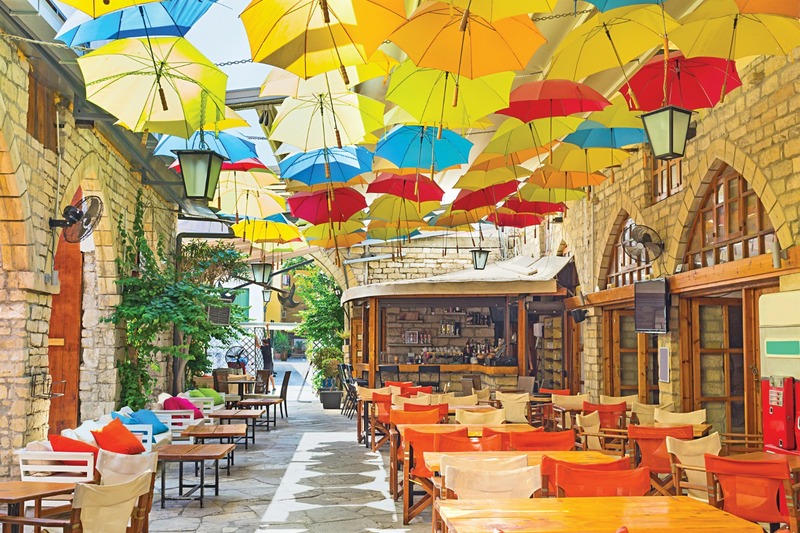 With fascinating histories and cultures to be found against the backdrop of vibrant blue seas, Cyprus offers activities and entertainment in the towns, plus relaxation, watersports and incredible seafood by the coast. Couples looking for spacious suites and quiet time will feel at home in the adults-only Constantinou Bros Asimina Suites Hotel in Paphos, while St Raphael Resort in Limassol has a convenient all-inclusive option and a raft of family-friendly activities. 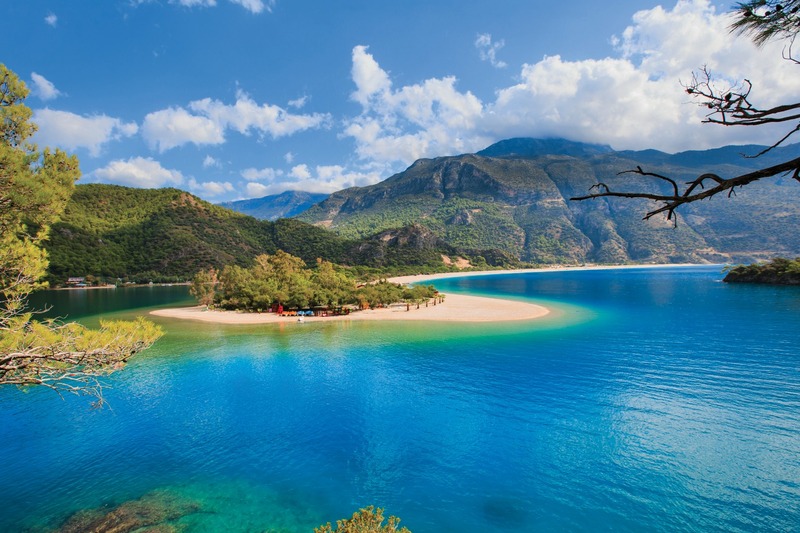 While some parts of Turkey are still quite cool in May, the Turquoise Coast – or the Turkish Riviera – offers warm days and great value for money at this time of year. This stretch of coastline covers the coastal region of Antalya and Muğla provinces, with its many postcard-perfect coastal towns. Travellers can expect average daily temperatures of 25ºC, with 14 hours of sunshine a day and just 19mm of rain during the month. Evenings can be a little chilly but nothing a cardigan or light jacket won’t solve. During May, couples should head for the recently renovated D Maris Bay for pristine sea views from its position on a cliff-top, with access to its five private beaches via cliff-side lifts. The Hilton Dalaman Sarigerme Resort & Spa is beloved by families, with an aqua park for kids and a modern spa for weary parents. Another location that can become too hot for many people during the height of the summer, Egypt is a fashionable option for holidaymakers in May. Relatively speaking, the temperature is milder at this time of year, but still soars to an average of 35ºC. With 13 hours of sunshine per day and just 1mm of rain during the month, this is a location for those who want weather that’s almost certainly guaranteed. Egypt is known for its excellent diving opportunities in the Red Sea, kite-surfing and other watersports. The desert location and miles of seafront mean there are lots of facilities for beach fans too. Couples should opt for a resort such as The Oberoi near Hurghada, with a private beach, generous landscaped gardens and luxurious spa. 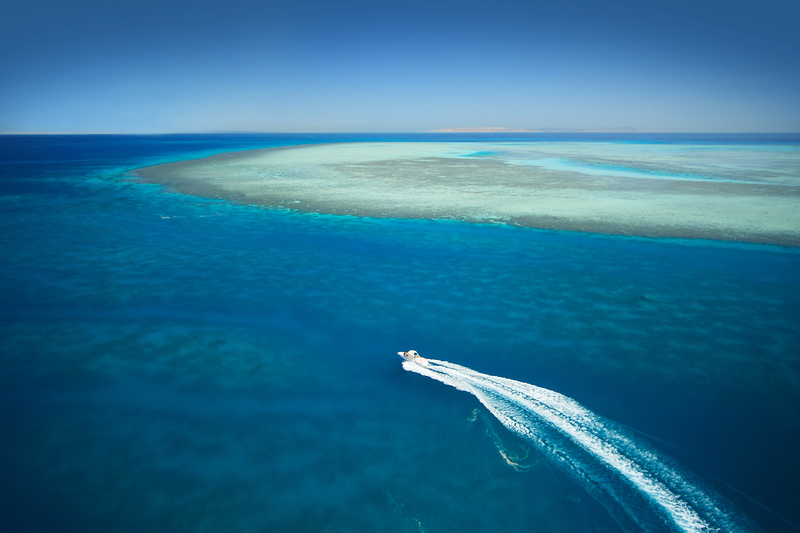 Watersports enthusiasts should go to one of the resorts in El Gouna, while families should take advantage of all the facilities at the well-established Sheraton Soma Bay Resort. 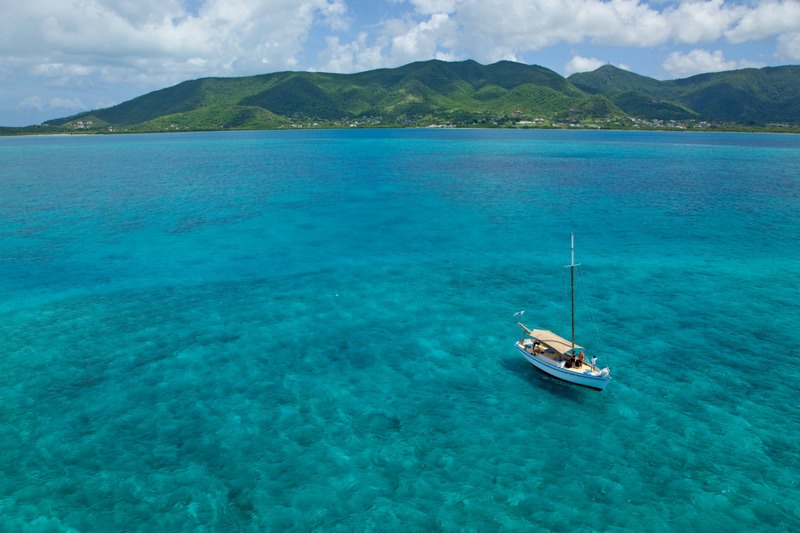 The 28 islands of the Caribbean enjoy year-round tropical conditions and hot weather most of the year. As May is still considered to be low season in the Caribbean, there are often great deals to be found for luxury Caribbean holidays in May. The weather at this time of year averages around 35ºC, with 13 hours of sunshine per day. While rainfall is slightly higher than other prime May holiday options – at around 63mm per day – rainfall in this region tends to consist of short tropical downpours that don’t last long. May is also just outside of hurricane season, so there’s low risk of very intense weather conditions. Families should take advantage of some of the many family-friendly hotels in Barbados at this time of year, such as Sugar Bay Barbados, in a quiet location with an all-inclusive option. Couples adore the respite Curtain Bluff in Antigua provides, complete with its beachside villas and barefoot luxury concepts. May is around the time of year when the Greek Islands start to wake up and open for business. It’s still considered low season – so there are some good holidays deals to be found – while the weather is pleasant. Crete is a particularly attractive option. It’s one of the larger islands, so more facilities have opened up for the year by May. The average temperature is a decent 25ºC, with 14 hours of sun per day and 28mm of rain throughout the month. It’s also becoming a popular destination for diving and watersports fans, so there’s plenty to keep you occupied if you’re that way inclined. Couples should try out Casa Delfino Hotel & Spa, for its location near Chania Old Town’s harbour, amazing 17th century architecture and quality spa facilities. Families feel at home in Aldemar’s resorts in Hersonissos, where there are hotel suites and villas that provide the perfect setting for a home from home in the sun. Have you bee to anywhere in May? We’d love to hear your stories, get in touch in the comments below.